You don’t need to be an expert to complete your Self Assessment tax return. Get started with GoSimpleTax today. One-click shortcuts and automation for ease of use are everywhere now, so why should completing a self-assessment tax return still be so time consuming, stressful and complicated? It doesn’t have to be. GoSimpleTax ties in with your business’s current administrative requirements by offering easy automatic reporting. It is easy to make a costly mistake on your tax return or miss out on opportunities to lower your overall bill. 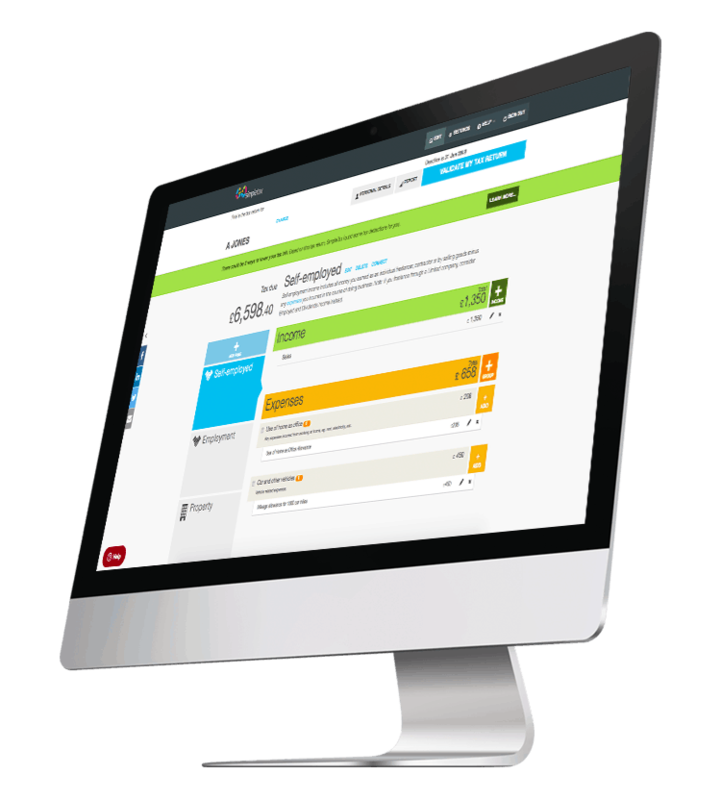 GoSimpleTax does much of the leg work for you automatically and calculates whether you could be paying less tax. Useful reminders help you to manage your calendar and ensure you don't miss deadline. Sign up now. No obligation trial. All prices are inclusive of VAT and are based on an annual subscription. None subscription costs are also detailed below. The receipt scanning feature on the GoSimpleTax app is a game changer for anyone who is tired of hauling paper receipts around. Upload your receipts to GoSimpleTax and they will be added to your accounting records immediately. Ready to submit to HMRC. 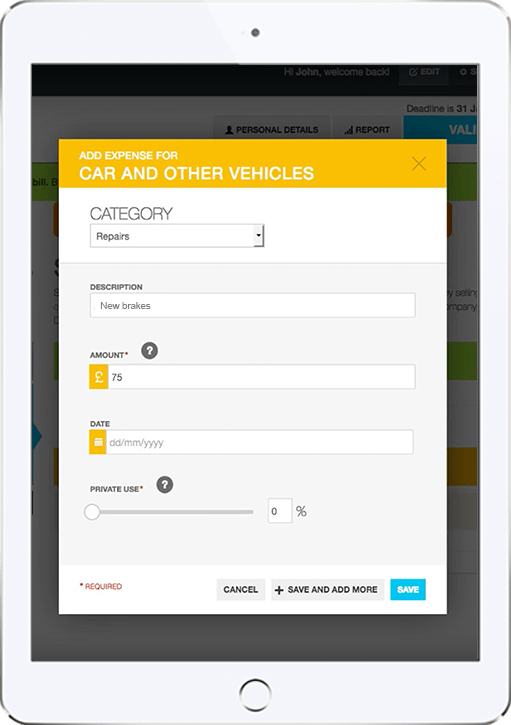 Keep track of your expenses easily, in real time, and avoid costly mistakes. 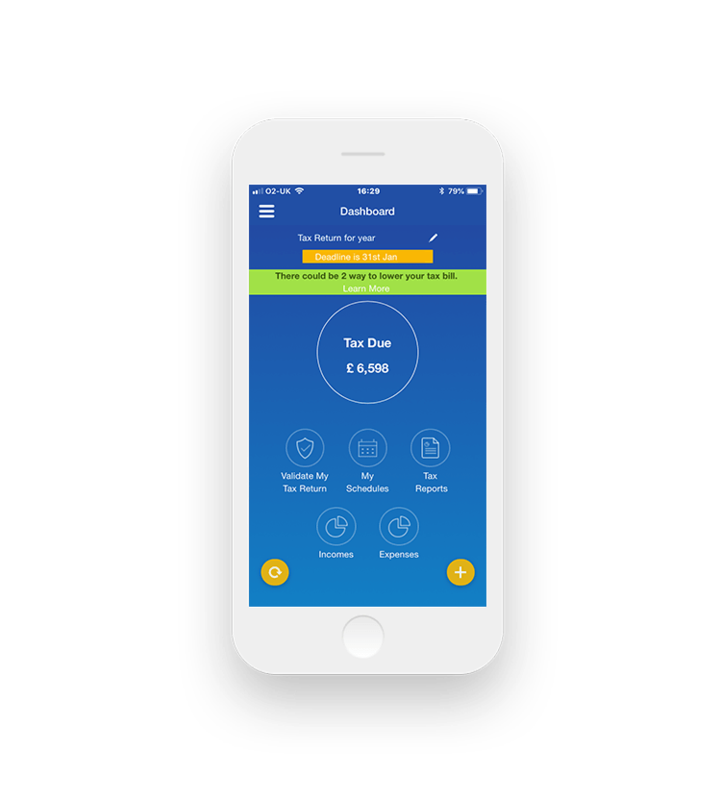 Download the GoSimpleTax app for iOS or Android today! Gone are the days of fretting over a calculator surrounded by scraps of paper at the eleventh hour. 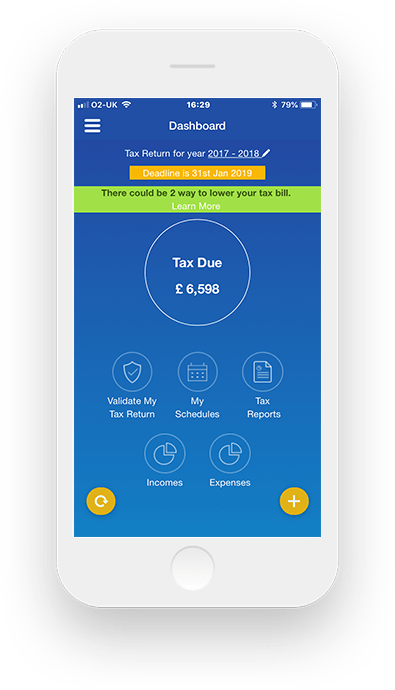 GoSimpleTax’s software uses the information you upload in real time to calculate your income and expenditure, working out the tax you owe and sending you helpful notifications when there’s the possibility of a mistake. As well as helping you to avoid any penalties, GoSimpleTax notifies you of any tax reductions for which you may be eligible. 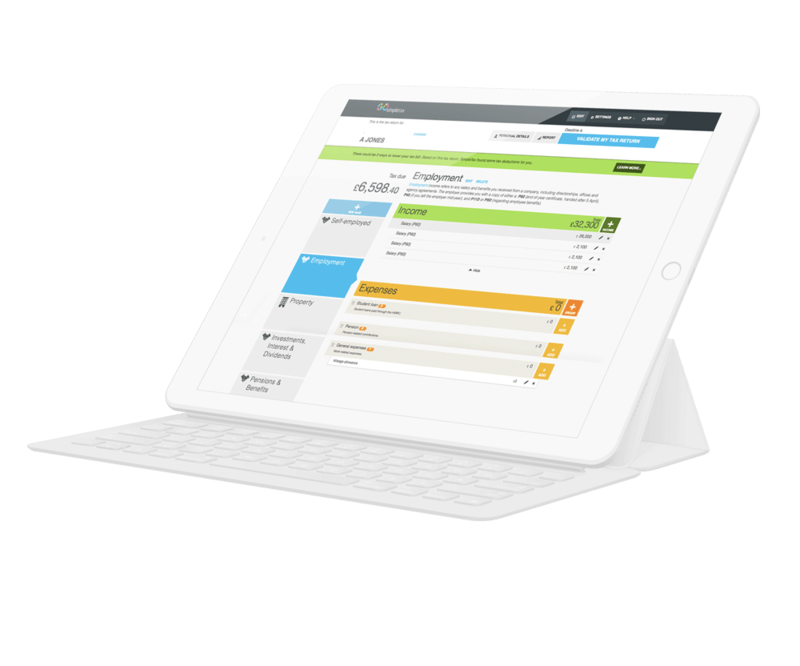 GoSimpleTax features an expenses categorisation system to calculate which of expenses may be tax deductible – saving you money. You can check back over your expenditure for the financial year with just a few taps. You can also specify what percentage of your costs was for private use, which could save you a real headache in the long run. "The software is intuitive and proved very easy to navigate. I found the whole process refreshingly simple. I saved a lot of money too!" "Easy to use and value for money. Everything you need to do your tax." "User friendly software, particularly the mobile app. Includes plenty of helpful information to guide you through the process."